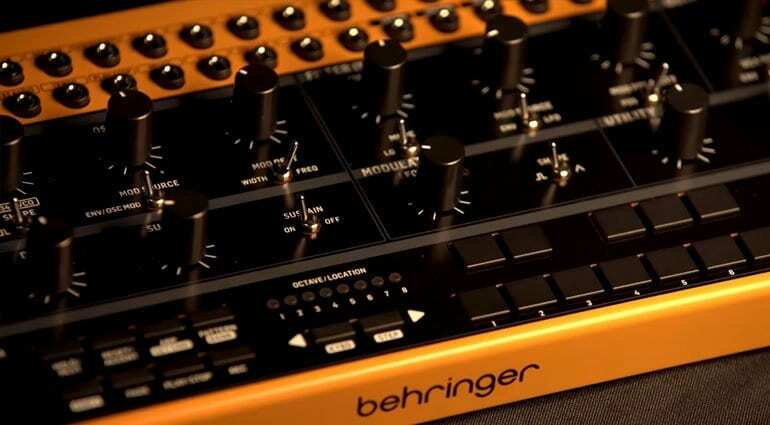 Behringer has managed to hold back one entire product that they’ve not talked about at all. Usually, they spill their beans about every stage of production and we end up talking about these machines months before anyone has heard or played one. Not so with the Crave, they’ve kept this very much to themselves although I do believe they posted a photo of the PCB a while back. So what is it? 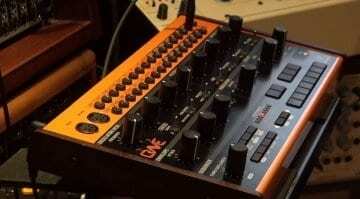 Is it the TB-303 clone we all assumed it was? No, not really, but then again, a bit. 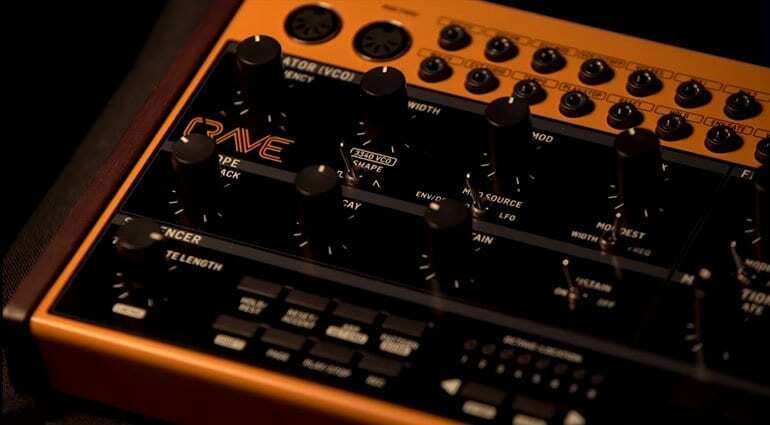 Crave is a semi-modular monosynth. It uses the same 3340 VCO that we find in the Neutron and MS-101 that was used in classics such as the Prophet 5 and SH-101. 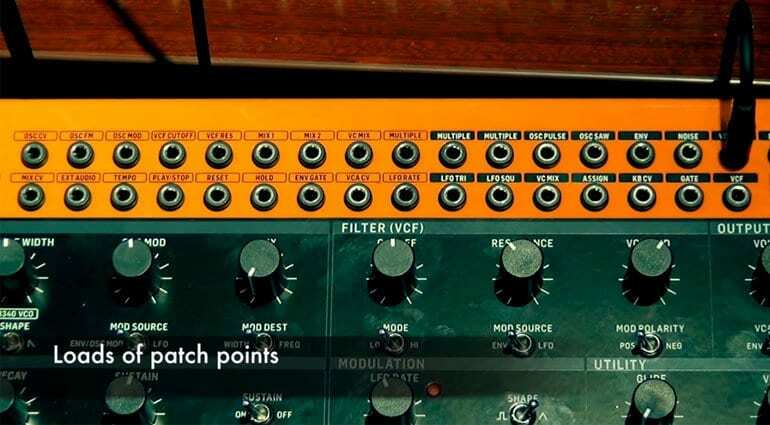 They’ve put in a classic Moog ladder filter (like in the Model D) and it has an ADS envelope and LFO – all the usual things you expect a monosynth to have. 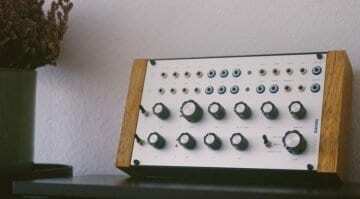 It has a sequencer/arpeggiator so you can get moving with some tunes straight away. The sequencer is laid out in a bit of a 303 style with the note buttons like a keyboard and is the same as the one in the MS-101 and Odyssey. One nice feature of the sequencer is that it can be transposed via MIDI. You’ve also got gate length, accent, ratchet and glide time per step and it can save 8 banks of 8 sequences up to 32 steps long. 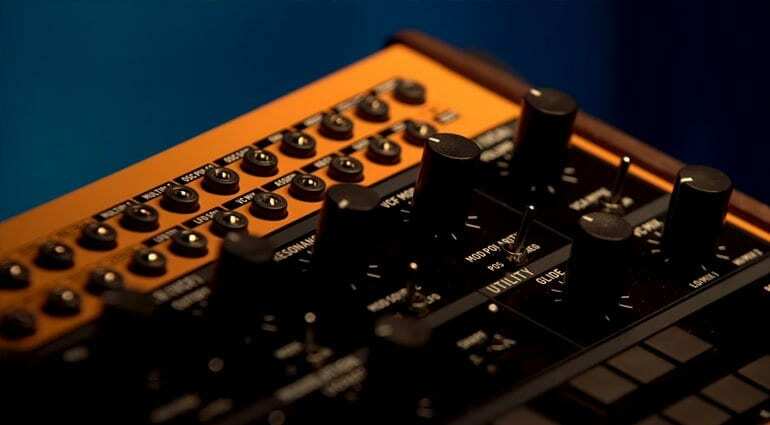 There’s sequencer reset, hold, play, stop and tempo all available on CV inputs. It has a ton of patch points which looks like everything out and everything back in again. It’s made of metal with wooden cheeks and sits nicely low on the desk. 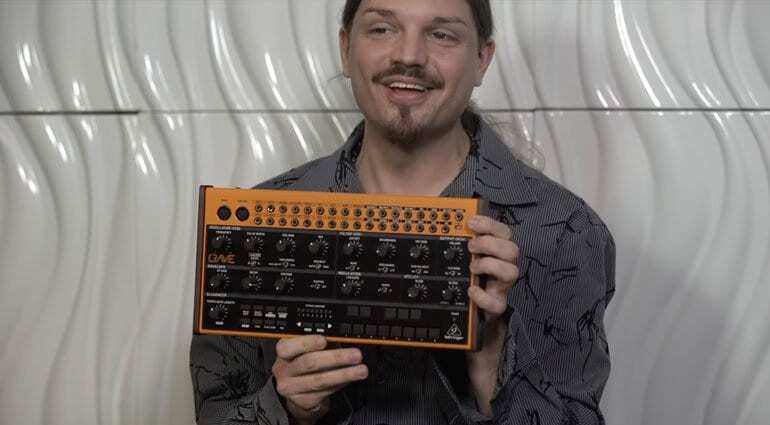 The knobs look tidy, it has MIDI and USB and judging by the videos it sounds pretty much like what you expect a decent synth to sound like. Plus – it’s orange which is always a good thing in my book. 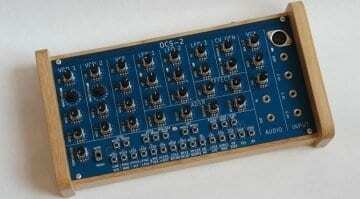 Can’t argue with that really, what a great little synth. And the price? $199 or €149 – wow! 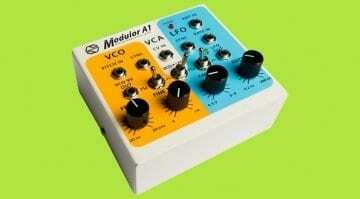 You could buy a few and put yourself together a polysynth. 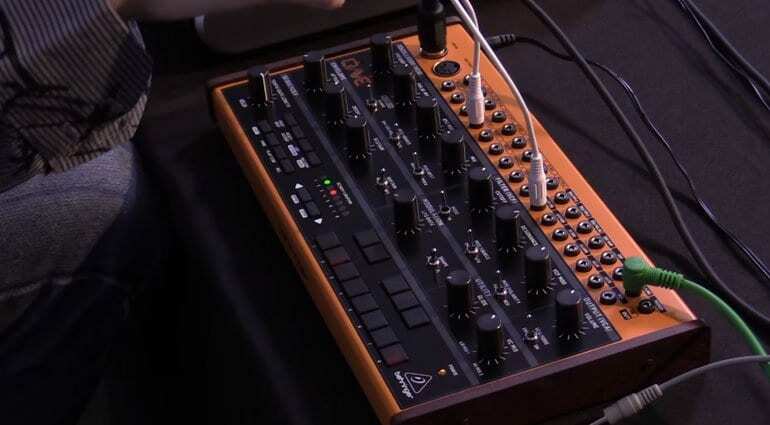 Well Behringer has aced NAMM this year and they weren’t even there. I think this one is a lot cooler. And it’s less than half price. Its allways cheaper when you steal other peoples ideas.. And its not cooler, because you can’t even screw it in your Eirorack….